President Benjamin Harrison appointed John Watson Foster as Secretary of State on June 29, 1892. Foster assumed his duties on that day and served until February 23, 1893. Foster was born on March 2, 1836, in Pike County, Indiana. He graduated from the State University of Indiana in 1855 and then attended Harvard Law School. Foster moved to Cincinnati, passed the bar, and practiced law until 1861, when he joined the Union Army as a major. Foster rose to the rank of colonel in 1864. Following his military duty, Foster returned to Indiana politics, was appointed Evansville Postmaster in 1869, and worked to build support for the re-election of Ulysses S. Grant in 1872. In return for his campaign work, Foster served as Minister to Mexico between 1873 and 1880. He then served as Minister to Russia from 1880 to 1881. After a brief return to private practice, Foster assumed duties as Minister to Spain in 1883 and served until 1885, whereupon he again returned to private practice and served as counsel representing foreign diplomatic legations in the United States. In 1892, President Harrison appointed Foster as Secretary of State. 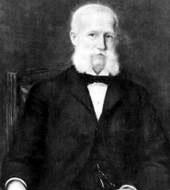 Foster served as Minister to Mexico during the rise to power of Porfirio Díaz in 1876. Foster supported recognition of Díaz’s rule, but was overruled by then Secretary of State, William Evarts. As the tensions rose between the two countries, Foster testified before Congress, carefully advocating recognition without appearing to undermine Evarts or President Rutherford B. Hayes. In the end, Foster was able to secure recognition for the new Mexican government. While serving in Mexico, Foster also began the negotiations to resolve U.S.-Mexico border troubles that eventually led to an 1882 agreement. As Minister to Russia, Foster’s most pressing duty was to advocate for the rights of Jewish U.S. citizens living there. As Minister to Spain, Foster secured a reciprocal trade agreement for the Spanish colonies of Cuba and Puerto Rico in 1885, but the U.S. Senate rejected the agreement. While serving as legal counsel to foreign legations in Washington, following his post in Spain, Foster provided legal representation for the Chinese Government seeking redress for an anti-immigration riot that killed twenty-eight Chinese laborers in Rock Springs, Wyoming in 1885. Foster also advocated on behalf of the Chinese Government during negotiations to overcome the exclusion of Chinese immigration to the United States and would continue to represent the Chinese Government in later years. Foster became Secretary of State in 1892 and served for the remaining eight months of Harrison’s administration. Foster had already forged a close working relationship with Harrison, as he was involved in negotiations for numerous trade agreements in the Western Hemisphere, and continued to be as Secretary of State. As Secretary, Foster also attempted to counter British attempts at imperial expansion in Samoa and the Mosquito Coast. Foster also worked to negotiate a 99-year lease for a naval base in the Dominican Republic, but financial demands by the Dominican Government made Congress unwilling to approve the lease. Foster instructed U.S. representatives at the International Monetary Conference in Brussels to advocate for a fixed rate of exchange between silver and gold, but the conference came to no agreement on precious metal issues. Foster also unsuccessfully attempted to annex the Kingdom of Hawaii. After leaving office in 1893, Foster represented the United States in international arbitration regarding seal hunting rights in the Bering Sea and before the Alaskan Boundary Tribunal in the 1890s. At the time of his death on November 15, 1917, Foster’s son-in-law Robert Lansing was serving as Secretary of State. Foster was also the grandfather of future Secretary John Foster Dulles.